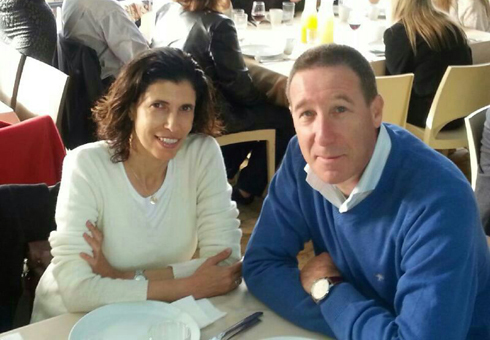 Mira and Emanuel Riva, the Israeli couple killed in the Brussels terror attack. They left behind two teenage daughters. * Suicide bomber caught in Israel: Many international media ignore the story. * American, Canadian die fighting on opposing sides in Syria. * Karen James, a member of the 1972 Canadian Olympic Team, who witnessed the massacre of the Israeli Olympic athletes: I feel sick that Ottawa taxpayers are being forced to fund an exhibit honoring the Munich terrorists. * A note below on Haaretz’s (and the Daily Telegraph’s) shocking (yet predictable) take on the Brussels Jewish museum terror attack. French police announced today that 29-year-old French citizen, Mehdi Nemmouche, has been arrested in the southern French port city of Marseille, and charged with last weekend’s terror attack at the Jewish Museum in Brussels that left four people dead. Police sais that Nemmouche, from the northern French town of Roubaix, was captured Friday in Marseille, and had in his possession a gun, a Kalashnikov assault rifle, and a video camera, used in the Brussels attack. Nemmouche is believed to have links to Syrian jihadists. Nemmouche last visited Syria in 2013. Nemmouche was meant to have been under surveillance, according to intelligence sources, following his return from Syria, but as is the case with hundreds of other European jihadis returning from Syria, the surveillance is less than perfect. Nemmouche was picked up at Marseille’s coach station on board a bus arriving from Amsterdam. He is not believed to have been acting alone. The shooting last Saturday left four Jews dead, including a 24-year-old Belgian museum employee and a French woman who did volunteer work at the museum, both of whom were executed point blank in the head and neck, as well as an Israeli couple on a trip to Europe to celebrate their wedding anniversary. The Israeli newspaper Haaretz have been accused by many in recent years of stirring things up by implying that anti-Semitism and anti-Zionism barely exist. Although the suspect has not been convicted yet, the police have a video confession by him boasting of the attack and his motives, and it in any case seemed beyond doubt from the beginning that some form of anti-Semitism was a factor in shooting up a Jewish museum. Yet Haaretz ran what many are terming a prominent conspiracy theory piece in the news pages following last week’s Brussels attack (by Amir Oren), citing “anonymous sources” saying that the attack was neither anti-Semitic nor anti-Zionist but merely a crime, that had nothing to do with prejudice against Jews. Many western media outlets, under the impression that Haaretz is a reliable paper, repeated Haaretz’s “conspiracy theory” about the Jewish museum attack, including for example, the (London) Daily Telegraph, which ran a lengthy piece mirroring Haaretz’s conspiracy. This is not to say that Haaretz doesn’t also have some fine writing in other respects – but it is making too many mistakes in its eagerness to suggest that the only bad people in the world are the Israelis themselves. Update: In the last hour, Belgian police have conduct raids in Kortrijk, arresting two additional suspects in connection with the Brussels attack. Belgian media report that the Brussels museum shooter may have videotaped last weekend’s terror attack. According to police sources involved in the investigation, the museum security cameras indicate the suspect documented the shooting with a personal GoPro camera mounted on his chest. In recent years, recording and then broadcasting on the Internet the murders of Jews has become a favorite tactic of Muslim anti-Semites. For example, Mohamed Merah, the French-Algerian who murdered four Jews (including three young children) at the Otzar HaTorah school in Toulouse in March 2012 (and two French soldiers in separate attacks), also recorded the killing in this way, but the tapes were never aired. Update: The French police now say that the video that the suspect was carrying showed the attack together with a confession by the perpetrator. One of the most inaccurate claims made by some of the media that reported on the Brussels terror attack, is that there is little anti-Semitism in Belgium and there were no previous similar attacks in the post-war era. In fact, only last month there was an anti-Semitic rally in Belgium which had to be broken up by riot police using water cannon, organized by the anti-Semitic Belgian MP Laurent Louis. Speakers included the notorious anti-Semitic “comedian” Dieudonné. I mentioned the rally in the dispatch of May: Item 7 here. And among past attacks was the bombing in 1981 of an Antwerp synagogue that left three dead. Last year a survey of 4,000 Belgian children aged between 14 and 18, found about 75 per cent of young Belgian Muslims held “ hard-core anti-Semitic beliefs.” Non-Muslim children were less anti-Semitic, according to the poll. And more recently, a worldwide poll published last month found that 34 per cent of Belgian men, and 27 per cent of men and women combined, are anti-Semites. Shira and Ayelet Riva, the two 16 and 15 year old-daughters of the Israeli couple killed in the Brussels shooting, wrote a final letter to their parents as their bodies landed in Israel, which was reprinted in an Israeli newspaper. Belgium’s interior minister, Joelle Milquet, said that police would now guard all Jewish institutions in the country for the foreseeable future. On Friday morning, Israeli border police apprehended a Palestinian man who tried to enter Israel wearing an explosive vest, thus preventing what seems almost certain to have been a major suicide bombing. Police first became suspicious when the 20-year-old man, from Nablus, was wearing a heavy coat, despite the 35-degree-Celsius heat (95 degrees Fahrenheit). The policemen, keeping their distance, called on the man to stop, and lay down in the road. Eventually, the suspect allowed policemen to remove his coat, revealing an explosive belt composed of 12 pipe bombs connected with electric wires strapped around his waist. Police sappers neutralized the bomb. The man was arrested (but will no doubt be released by Israel, just as previous terrorists were, after pressure from John Kerry and other Western leaders). I am drawing attention to these words again because I couldn’t find a single printed or online international media outlet that bothered to report on them, despite devoting considerable coverage to the Pope’s visit to the security barrier, and despite many journalists from major Western media outlets being present when Netanyahu said them. 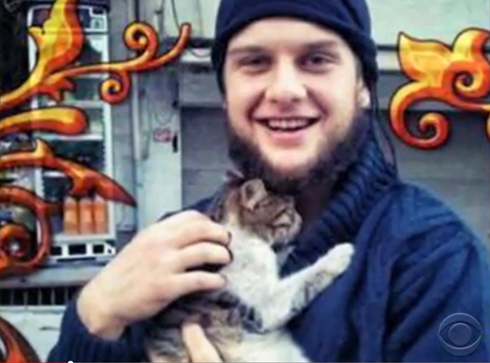 The U.S. State Department on Friday confirmed that an American citizen, Moner Mohammad Abu-Salha from Florida, has carried out a suicide bombing in Syria. Abu-Salha, who used the nom de guerre Abu Hurayra al-Amriki, carried out one of four suicide bombings on May 25 in Syria’s Idlib province on behalf of Jabhat al-Nusra, al Qaeda’s affiliate who are fighting to oust President Bashar Assad. The 48-year-old former Toronto supermarket employee, who became a senior Hizbullah commander, was declared a “martyr” on a Facebook page filled with photos of him in battle fatigues. The Lebanese-Canadian had been on the FBI’s “Most Wanted Terrorist list” since 2009. Ayoub was a longtime Hezbollah operative and former member of an elite unit headed by the late terrorist Imad Mugniyah, who died in 2008 in a mysterious explosion in Damascus. Ayoub had previously been captured by Israel but was released in 2004 as part of prisoner swap that saw Israel release 436 Palestinians and Lebanese terrorists in exchange for one kidnapped Israeli civilian hostage. While several Canadian jihadists have died over the past year fighting against the Assad regime, Ayoub is the first known to have lost his life fighting for Assad. Thousands of Iranian revolutionary guards and Hizbullah operatives are fighting on behalf of Assad, and have been responsible for some of the worst atrocities against Syrian civilians in the last two years. For a dispatch on how the New York Times got itself into a linguistic tizzy over the death of Imad Mugniyah, please see here. What the leaflet and video don’t explain is that those memorialized include a number of notorious terrorists responsible for the murder of dozens of civilians. They included Abu Iyad (also known as Salah Mesbah Khalaf) who helped masterminded the Munich Olympics massacre. Iyad’s face and name appear on the cover of the exhibit’s booklet just inches away from the City of Ottawa’s logo. Karen James, a member of the 1972 Canadian Olympic Team, who witnessed the massacre of the Israeli Olympic athletes, said she felt sick that such an exhibit honoring terrorists was being put on. As I noted in a dispatch last year, a similar exhibit was displayed in Paris at the Jeu de Paume museum, but despite repeated protests (and despite the fact it may have contributed to an upswing in anti-Semitic attacks in France) the Minister of Culture refused to close it. San Francisco State University spent thousands of dollars to send two of its professors to the West Bank and Jordan for a series of meetings with convicted Palestinian terrorists, according to documents obtained this week under the California Public Records Act, the Washington Free Beacon reported. During the trip in January, SFSU professors Rabab Abdulhadi and Joanne Barker met with, among others, terrorist Leila Khaled, a convicted airline hijacker and member of the Popular Front for the Liberation of Palestine, which has launched dozens of terrorist attacks and is responsible for the deaths of more than 20 Americans. Of course, there is nothing inherently wrong with meeting the enemy, if for example, the professors were trying to convert them to renounce violence against civilians, but we have no indication that this was the purpose of their visit. Temple University has been criticized by Jewish groups for refusing to condemn one of their professors, Alessio Lerro, for his doubting whether 6 million Jews died in the Holocaust and his use of anti-Semitic discourse on a secret listserv. Other professors on the secret listserv operated by members of the Modern Language Association – which is currently campaigning to boycott Israel – also used anti-Semitic rhetoric, the Free Beacon reported. Temple University spokesman Brandon Lausch told the Free Beacon that the university would not condemn Lerro. Questioning the Holocaust was a part of a “vigorous exchange of ideas,” Lausch claimed. Mahmoud Toameh, a top-ranking overseas operative of Hamas, has revealed that Hamas pays hundreds of young Israeli Arab citizens to harass Jewish worshippers at the Temple Mount area, according to press reports. These Israeli-Arabs, who ostensibly are studying Islamic theology at the site, are paid a monthly salary of NIS 4,000 to NIS 5000 ($1,150-$1,440) to attack Jews, sometimes with rocks. Mahmoud Toameh, a married father of eight, born in 1951, previously lived in Saudi Arabia, and is now a member of the Shura Council, the body headed by Khaled Mashaal which oversees “military” policy for Hamas. Hamas receives substantial funding from mosque networks in Saudi Arabia and other Gulf states.